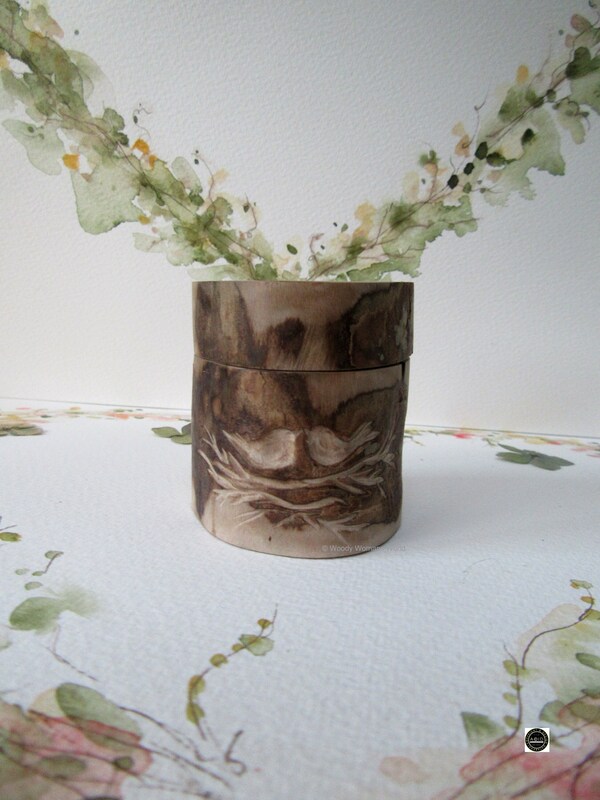 Harwood ring box made entirely by hand from locally sourced wood. Size: Just over 5 x 5cm. 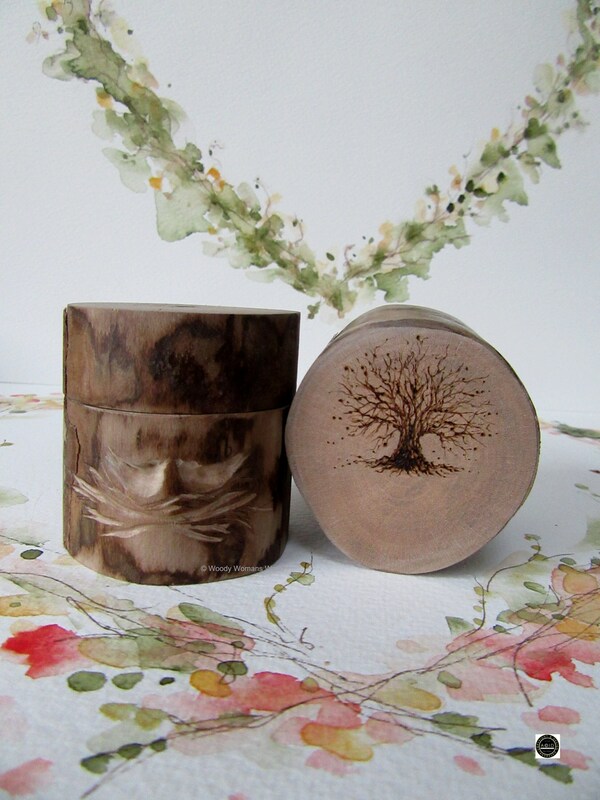 The box has a delicate pyrography tree illustration on the swivel top and two little love birds carved into the side of the box. 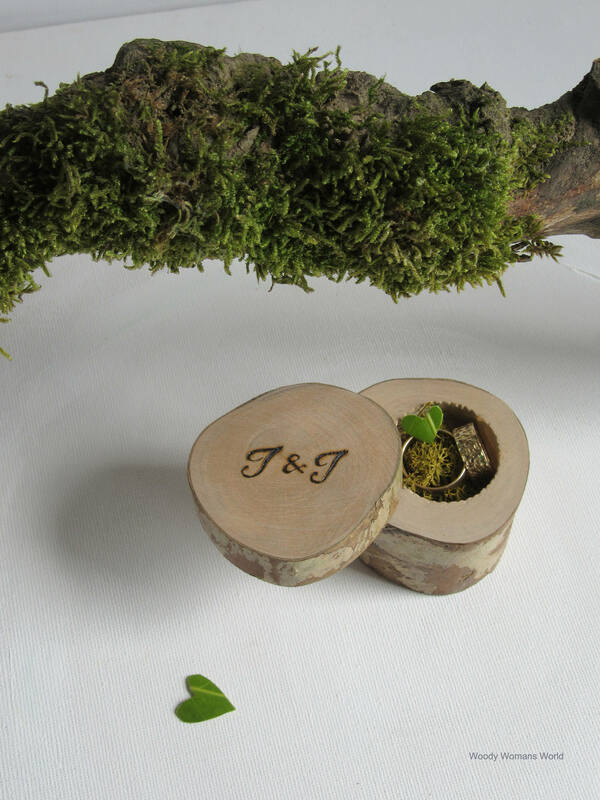 The ring space which has a dainty fluted edge that adds so much elegance and has space for two rings with moss for some cwtchiness. 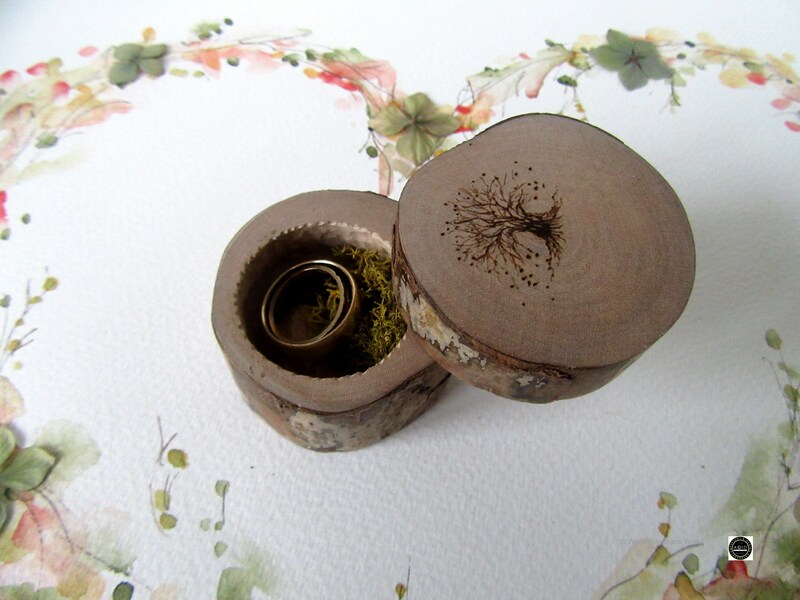 Keep your ring box in a cool damp free place and remove the moss whilst in storage. 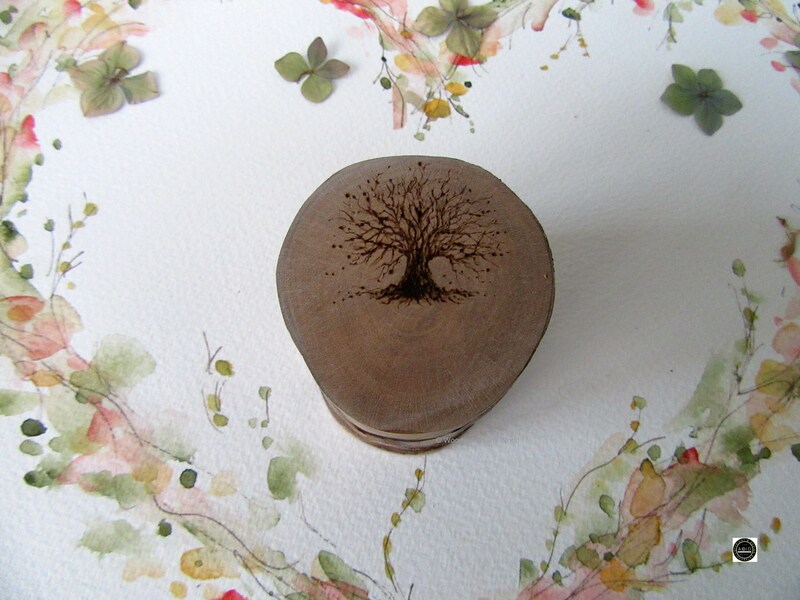 The tree has been illustrated on the box allowing room for names or initials In a simple italic style suitable for this little box. 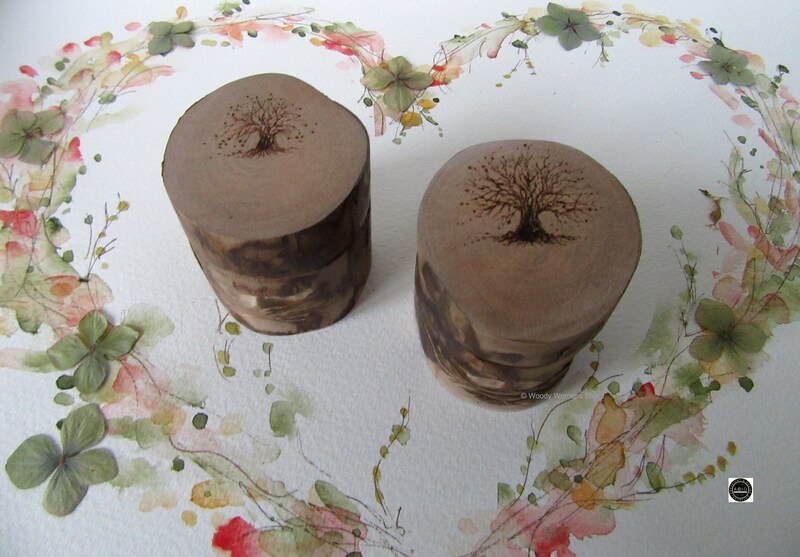 I have added some image samples of inscriptions but please feel free to chat if you wish to have a particular style. Size of the circular ring space is approx. cm dia and a minimum of 1.5cm depth but can be deepened if required. The jewellery is for display only. If you are unsure please convo me. 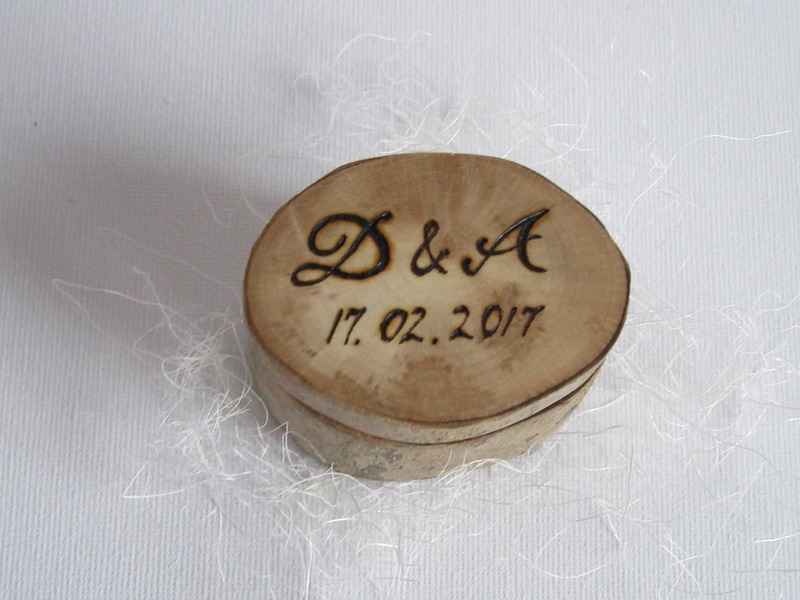 The ring box will be beautifully wrapped and sent Signed For delivery and a signature will be required on it's arrival. . The link below takes you to the ring box section if you care to take a peek. 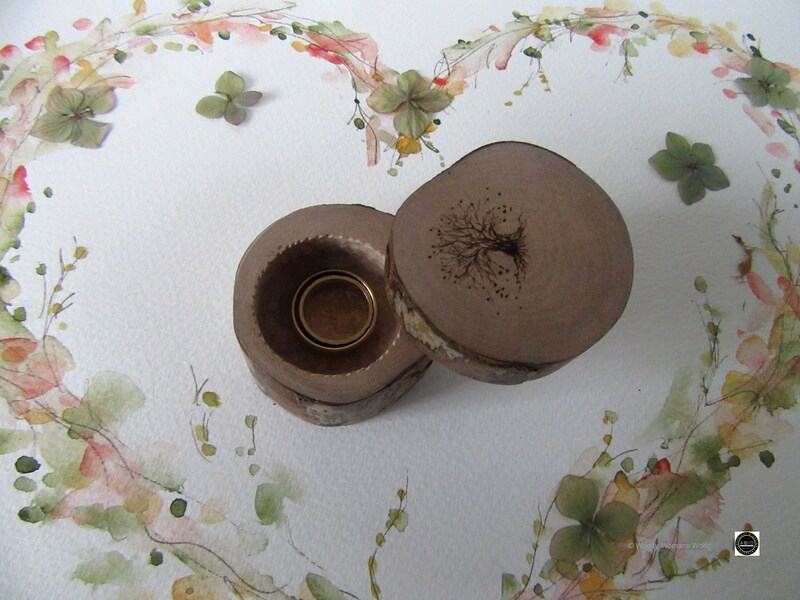 Absolutely lovely little ring box! Exactly how it looks in the pictures and came in very good time! Thank you!